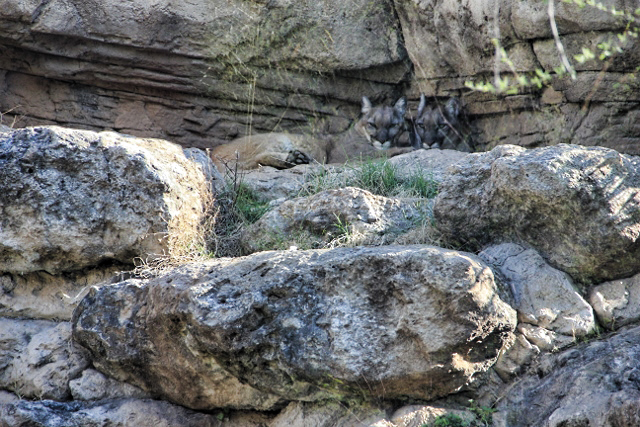 The cougars are normally pacing, sometimes though, one will be up in the rocks. I’ve never seen them cuddled together so I thought this was a nice shot. 🙂 But the real question is, are they real cougars or shapeshifters? I just approved the first 15 minutes of the narration on Cougar’s Mate, so that’s being made into an audiobook as we speak. The audiobook for Forbidden Love was approved a LONG time ago, but when I checked on it last week, I received an email saying they’d dropped the ball and would expedite its release. 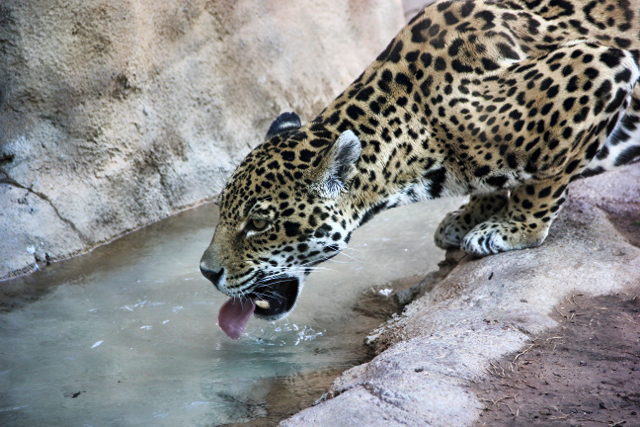 I caught one of the jaguars drinking, which turned out really nice. My friend was yelling for me to come over and get a shot and I was fortunate to get two before the male had his fill and moved off. 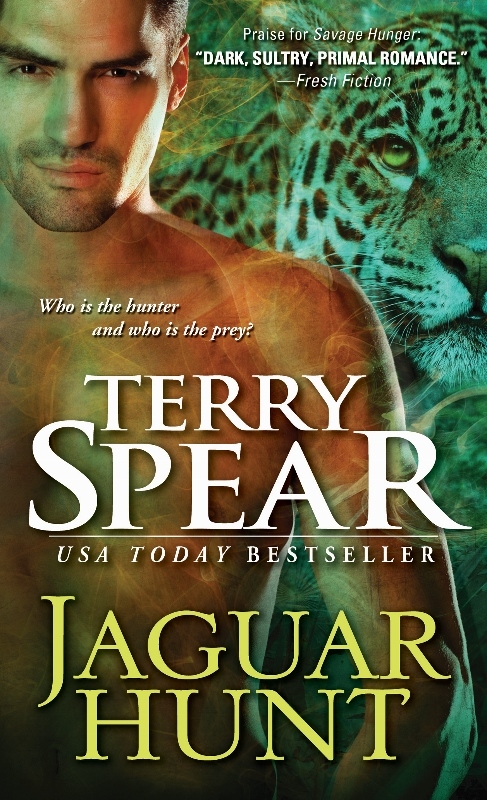 And I just approved Jaguar Hunt’s cover. 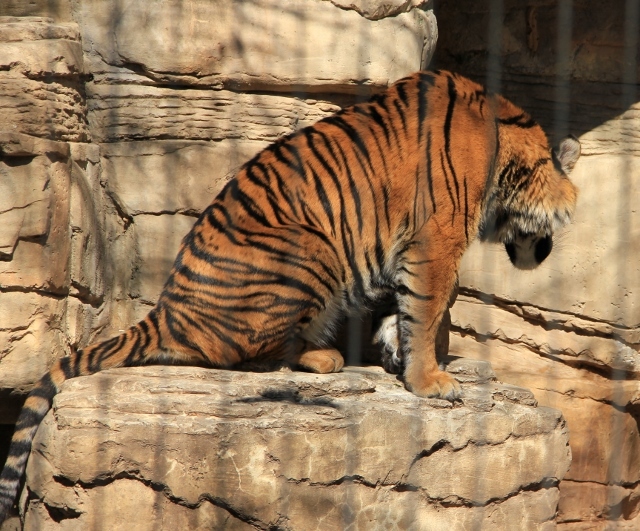 And here one of the tiger cubs was upset because his sibling was locked away inside. So lots of interesting happenings at the zoo. 🙂 I’m just lucky my friend doesn’t mind that I stop to take pictures all the time! And that’s it. We’re off to see the arboretum later today so have to get some work done before that! I’ve taken lots of pictures of the cats in the last couple of years, but these are really special. Why? They tell a story. I can’t. I have too many stories to tell! Hope no one pulls your leg and gets away with it. Years ago, we put one of those floating plastic ice cubes in my dad’s glass of water and it had a fly inside it. Made it look like the fly was floating in his drink. 🙂 Poor dad. Oh–have you heard about the one in Italy where someone got the public thinking that a spaghetti weevil was destroying the crops? Thank you for NOT quitting!!!!! LOL!!! I figured NO one would believe me!